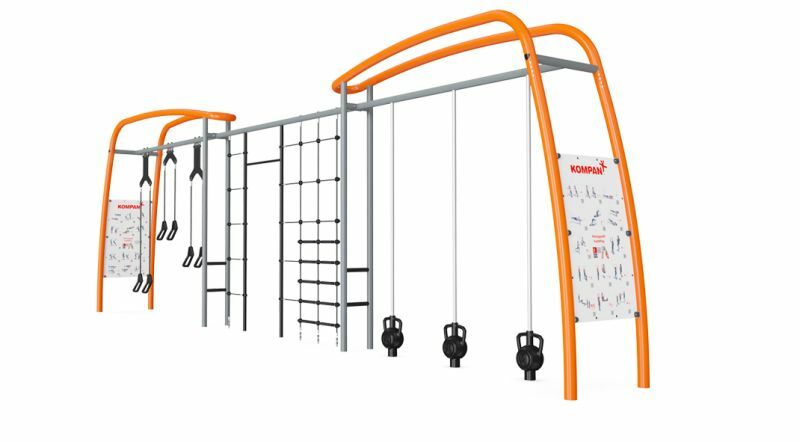 The Multi Net is a great climbing structure with an integrated pull up bar, perfect for performing a broad range of own bodyweight exercises. 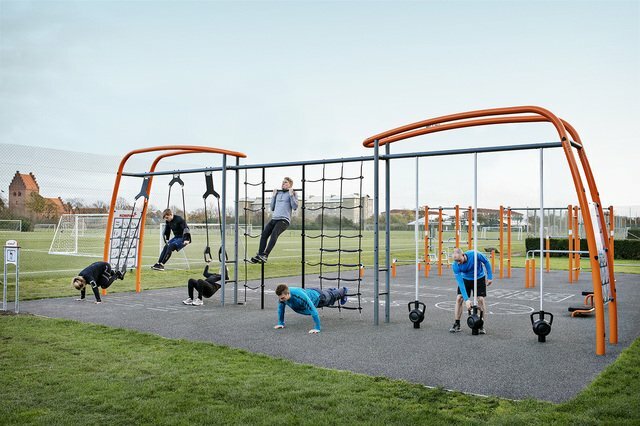 The pull up bar and standing pole are ideal for Street Workout related exercises such as the human flag. 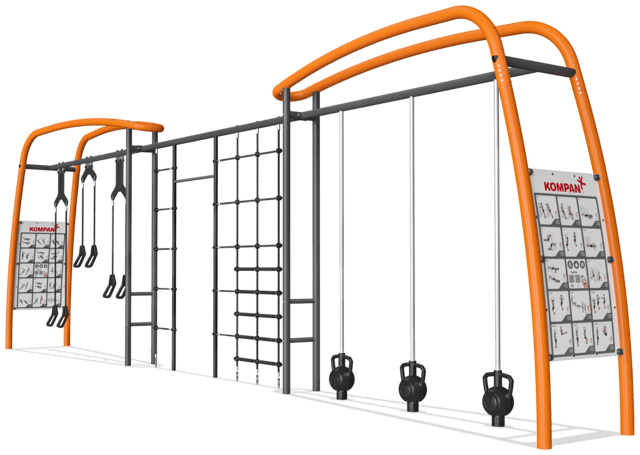 An innovative magnetic breaking system in the Magnetic Bells allow the user to increase the resistance by increasing the speed of movement. The patented system also functions as brake when someone drops the magnetic bells and will reduce the impact significantly. With the suspension trainer everyone can workout at their own level due to the scalable resistance. The intensity of each exercise can be determined simply by adjusting the body position to add more or less resistance.